Margaret was elected on 22nd May 2014. . Political affiliations – Conservative. Ward – Coulsdon East. Positions: Member of Licensing Committee; Scrutiny Children and Young people Sub-committee ; Children and Families Partnership. Outside bodies: Friends of Marlpit Lane Bowling Green.School Councillor , Oasis Byron and Chair of Governors Applegarth Academy, New Addington. Surgery Details – Last Saturday of the month, (No surgery in August & December) 10:00 a.m. – 12:00 noon, The Guide Hall, (rear of) Tudor Parade, Coulsdon Road, Old Coulsdon. 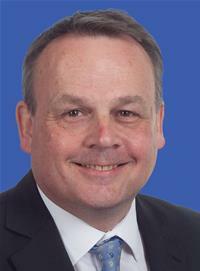 Councillor Steve Hollands was elected to the Old Coulsdon Ward on 23rd May 2018. Previously he was a Councillor in the Kenley Ward. Luke Clancy was elected on 22nd May 2014. Political affiliations – Conservative. Ward – Coulsdon East. Luke has lived in Croydon for 14 years and was a former Croydon Councillor for South Norwood Ward. From 2006-10 he served as Vice-Chairman of the Planning Committee, Deputy Cabinet Member for Regeneration and was a Trustee of Croydon Council Pension Fund. He was also a school governor, a Safer Neighbourhood Team Ward Panel member and involved in various community interest groups. Luke works as a financial journalist and in his spare time enjoys long distance running. 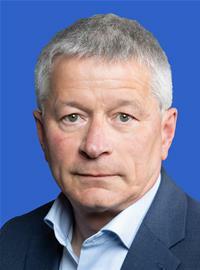 Mario Creatura was elected to Coulsdon West Ward on 22nd May 2014. Political affiliations – Conservative. Ward – Coulsdon West. Mario is a lifelong Croydon resident. He was state educated locally before going to university. He works as a Parliamentary Researcher for Gavin Barwell MP. He has worked in PR and Marketing at the University of Surrey, the 1994 Group and the National Union of Students. He is a mentor for local charity, Lives Not Knives, helping to keep young people out of trouble and supports social action across the borough, including regularly helping with Sewa Day. He believes in community engagement and tries to get as many people involved in politics as possible, regardless of political inclination. Councillor Ian Parker was elected to Coulsdon Town Ward on 23rd May 2018. Councillor Steve O’Connell is of interest to Coulsdon in his regenereation capacity and as the London Assembly Member for Croydon and Sutton and his contact with Boris Johnson, Mayor of London. His advice surgery.. Please call my office on 020 7219 8026 to make an appointment.